Beautiful home on corner lot. From the front covered porch overlooking the Pavilion pocket park to the back screened porch this home is loaded with upgrades. Open floor plan, gorgeous kitchen, 42 inch cabinets, granite, upgraded appliances, hardwood and tile in all traffic and living areas. Full tile shower in master bathroom. This 3 bedroom, 2 bath beauty will not last! Just a short walk to the clubhouse, outdoor pavilion & most other amenities. HOA inclds lawn mnt & all amenities, Jr Olympic pool, tennis, boccie, and pickle ball courts, huge clubhouse with ball, craft, game, & billiards rooms, library, gym, locker rooms, & kitchen, outdoor cabanas, and grill area. Other venues are horseshoes, shuffleboard, and gorgeous Pavilion with covered seating, outdoor fireplace and summer kitchen with grill. HOA dues are $266.20 monthly. 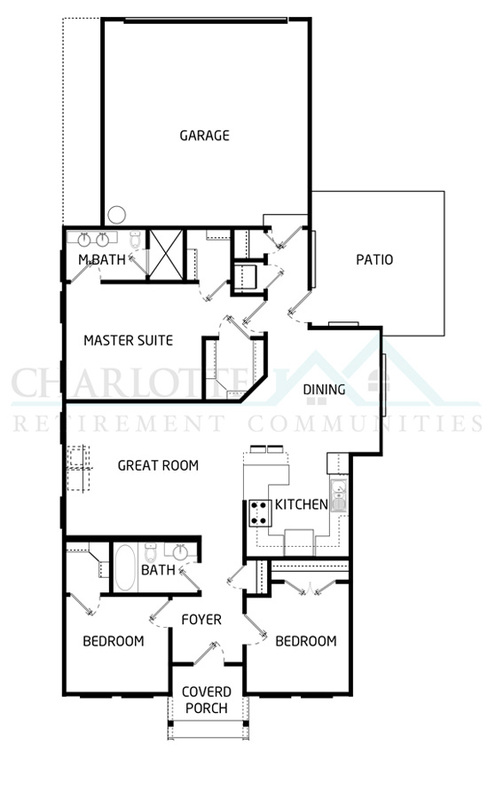 Bailey’s Glen is one of the most popular active adult communities in the Charlotte Metro area. Just 20 minutes north of uptown Charlotte, this beautiful community is located on approximately 150 acres in stunning Cornelius, NC. 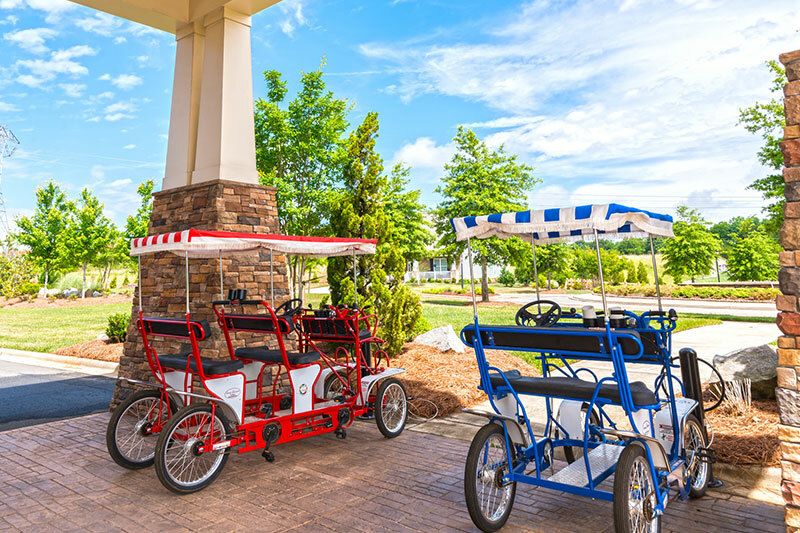 Cornelius offers many amenities including activities on Lake Norman, high-end shopping, dining, and more. 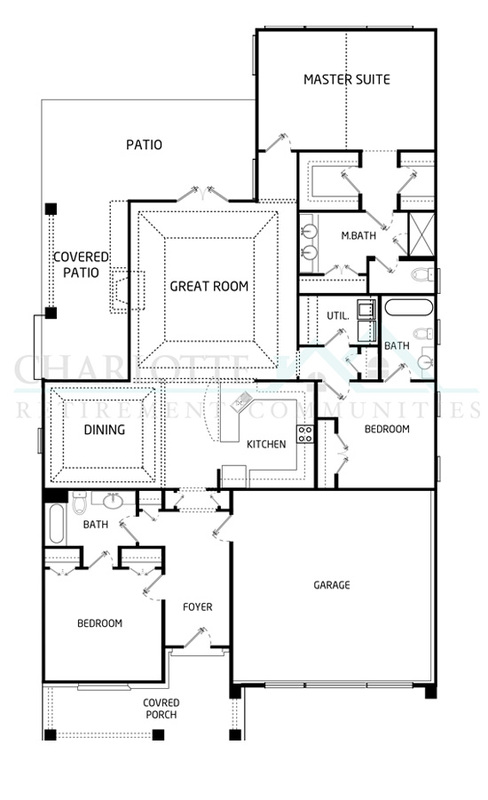 This community offers 18 different, luxurious floor plans built by South Creek Homes. With a total of 468 residences planned, Bailey’s Glen will maintain a small town feel. 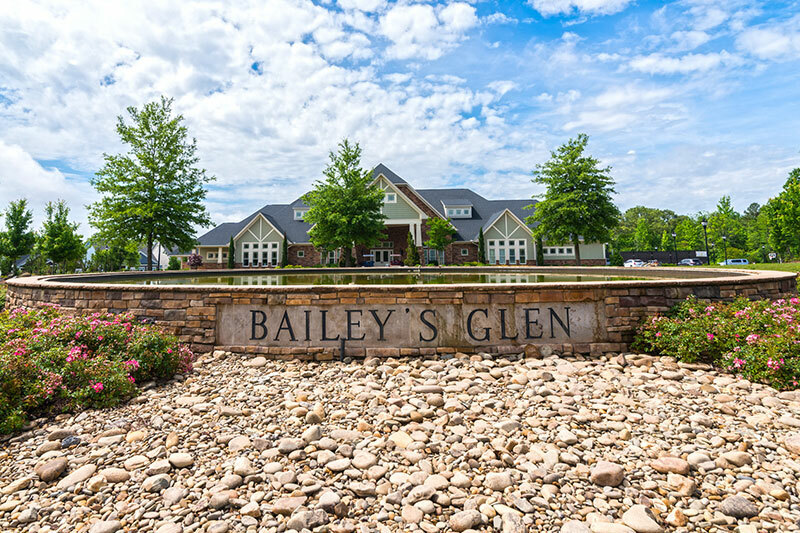 Want to try out the Bailey’s Glen lifestyle? For local homeowners we can arrange a 30-day guest membership so you can enjoy all the amenities and meet the residents before you decide to purchase a new home. For those out of town, the Holiday Inn Express Hotel offers a preferred rate. The Meetinghouse, Bailey’s Glen’s featured 12,000 square-foot clubhouse, offers a full-time activities director, exercise studio, five hobby/meeting rooms, a library, computer room, billiards, and a ballroom. 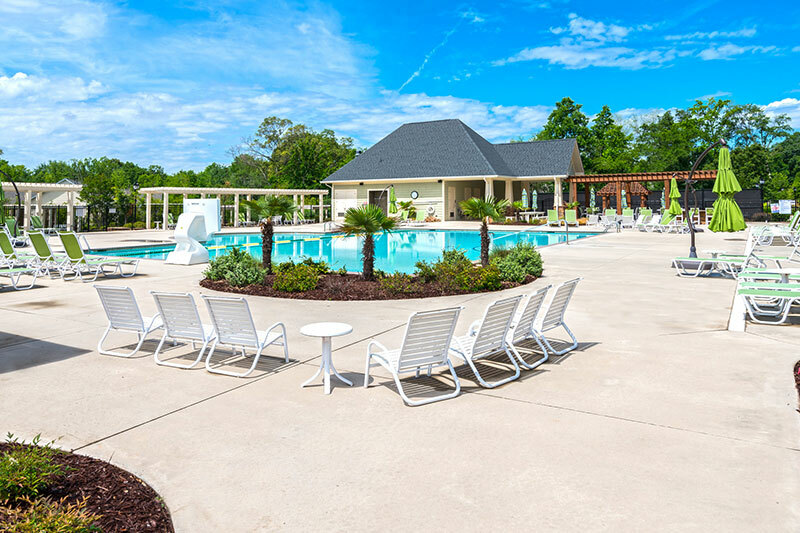 Outdoor activities are endless with the outdoor pavilion, swimming pools, pickleball courts, bocce ball courts, tennis facilities, putting green, and horseshoe courts. Within the community you will also find a dog park, community garden, and courtyards. Residents can walk to Bailey’s Park, which offers basketball courts, softball fields, an amphitheater and more. A few minutes south in Huntersville, NC you will find Birkdale Village which offers shopping andfine dining for the whole family. South Creek Homes began construction at Bailey’s Glen in 2006. New Homes and Resale Homes are available for purchase. The community will be complete soon with 468 residences, 372 single family homes and 96 townhomes. 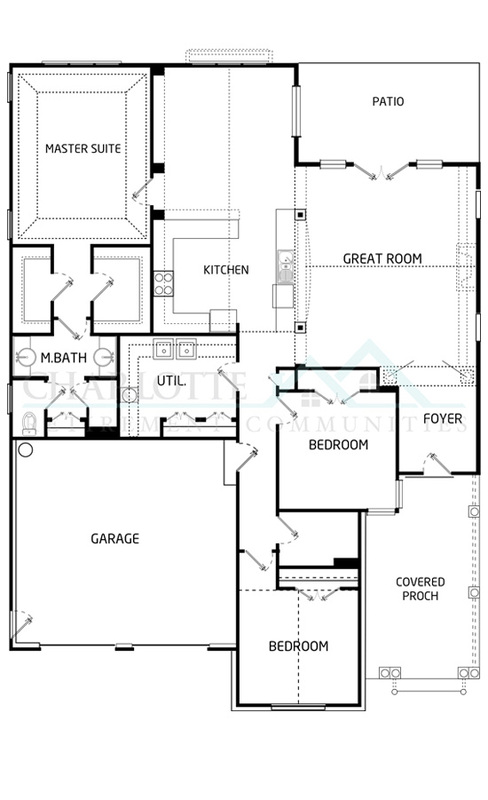 There are 18 floor plans within four model collections ranging from 1,273 – 3,100 square feet. styles. Homes in this collection feature large great room, fireplaces, his and her closets in the owner’s suite, and rear patios. The Village Collection features single family homes starting at $259,900. They range from 1,593 – 2,808 square feet with two -three bedrooms, two – three full baths, and an attached two car garage among eight styles. Homes in this collection feature inviting foyers and front porches with elegant columns. The Classic Collection features single family homes starting at $314,900. They range from 2,004 – 2,172 square feet with two -three bedrooms, two – three full baths, optional lofts, and an attached two car garage among four styles. Homes in this collection feature fireplaces, large walk-in closets, formal dining areas, and outdoor covered patios. The Premier Collection features single family homes starting at $349,900. They range from 2,248 – 2,409 square feet with two -three bedrooms, two – three full baths, optional lofts/basements, and an attached two car garage among five styles. 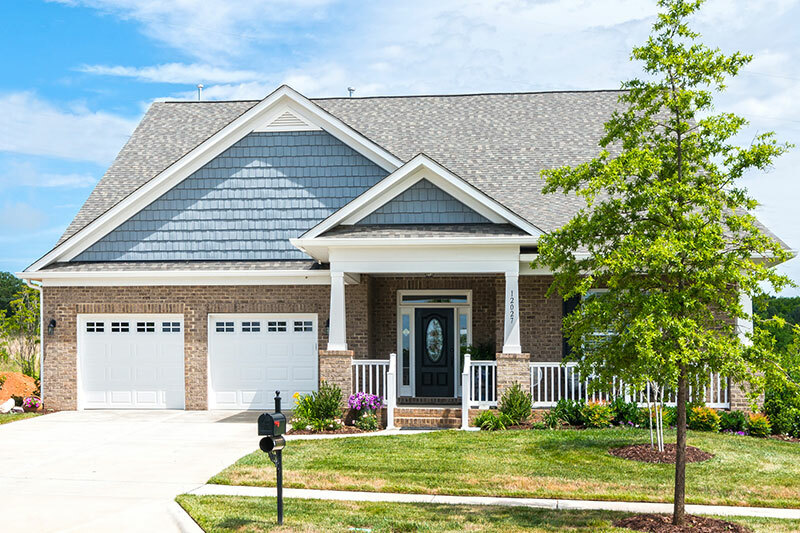 Homes in this collection features formal living and dining rooms, large great rooms, luxury master baths, fireplaces, covered porches, and hobby spaces in the garage. Bailey’s Glen offers a plethora of activities for the active adult lifestyle. Get a bite to eat at the pub, lounge by the pool, or check out one of the most popular new sports, pickleball. Auto Shop – Coming Soon! Woodworking Shop – Coming Soon! Are you interested in learning more about this community? Keeley specializes in helping buyers and sellers in (insert community name). 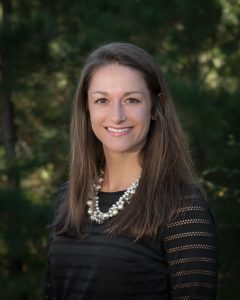 She can answer questions about the area and help you explore all of your options for active adult living.